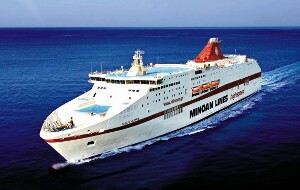 MINOAN LINES - Discount offer 50% for itineraries of Crete route from 26/11 , for trips with departure date until 30/12/2018. From 26/11 there is a discount offer 50% for itineraries of Crete route, for trips with departure date until 30/12/2018. For the line Piraeus- Heraklio- Piraeus and Piraeus- Chania- Piraeus. 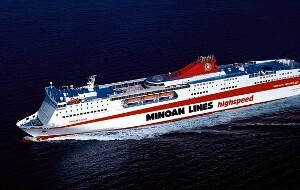 MINOAN LINES - MINOAN LINES offers 30% discount for Black Friday. 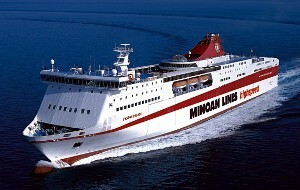 MINOAN LINES announces new offers for Black Friday: 30% early booking discount for Adriatic line routes for reservations until Friday 23/11/2018 (with issued tickets until Friday 30/11/2018) and 30% discount for domestic lines routes for holders of Μinoan Lines Bonus Club who will buy tickets (for domestic lines) only on Friday 23/11/2018. 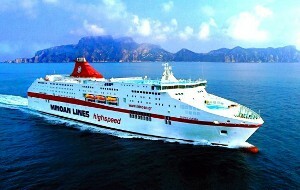 MINOAN LINES - From 15/07/2018 starts the new itinerary at the line Piraeus- Chania- Piraeus with Cruise Ferry Mykonos Palace. From 15/07/2018 starts the new itinerary at the line Piraeus- Chania- Piraeus with Cruise Ferry Mykonos Palace, the youngest and most luxurious vessel of its category (capacity: 1922 passengers, 1.000 vehicles, 125 trucks). Departure from Piraeus daily at 16.00 and arrival at Chania at 22.30. Departure from Chania daily at 23.59 arrival at Piraeus at 06.30. MINOAN LINES - New itineraries at the line Heraclio (Crete)- Santorini- Ios- Paros- Mykonos from 13/06/2018 with Santorini Palace. New itineraries at the line Heraclio (Crete)- Santorini- Ios- Paros- Mykonos from 13/06/2018 with Santorini Palace, the most luxurious vessel in its category.